When you are in need of a payment gateway provider in the UK, you have several top companies to choose from. Here we’ve listed the main ones so you can compare them and see which one might suit you. Prices for these services can vary so it makes sense to compare them all carefully before you make your choice. With several to choose from you’ll undoubtedly be able to find the best and most convenient choice for your needs. Payment Sense has been set up purely to provide payment gateway services to small businesses. They provide a range of services that have been specifically put together to appeal to all kinds of small businesses. These include ones that need mobile terminals so payments can be taken from all locations – ideal for plumbers, gardeners and lots of other business people in these types of jobs. Their e-commerce services include virtual terminals, payment gateways and merchant accounts if required. One of the biggest perks of joining Payment Sense is their capped contract service. This means whatever price you sign up to, it will remain at that level for however long you remain with the company. Sagepay offers two main solutions for businesses looking to take payments online. The first one is the standard option, which currently provides the ability to complete as many as 1,000 transactions over each three month period included in the price. If you complete more than this you are charged a small fee per transaction. Businesses completing over 10,000 transactions every three months will be directed to their corporate solutions package. In each case you will get round the clock telephone support, a fully customisable checkout screen and the ability to take payments over the phone and via the postal system too. Corporate clients get much more besides, including an account manager. Worldpay started life some twenty years ago, and since then they have continually upgraded their service and launched new features. These include the first shop they opened online, way back in 1994. They offer various solutions for small online businesses, through to medium sized ones and corporate clients. According to their website over 500,000 businesses use their service. They enable smaller businesses to accept all the major credit and debit cards people use, as well as accepting PayPal payments. As you might expect, merchant accounts are also part of the service, making Worldpay a good choice for new and existing businesses. 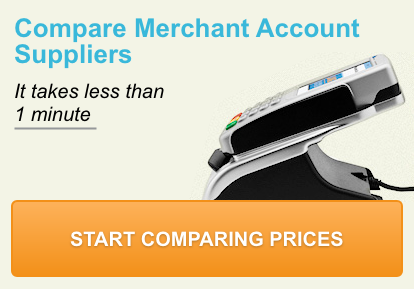 Their Business Gateway service is ideal for those who have already set up a merchant account. Alternatively if you are new to the process, you can opt for the Business Gateway Plus package, which includes the merchant account as well. Cardsave offers many solutions that allow you to set up a payment gateway for your business. For example they can provide e-commerce solutions as well as card machines of various kinds to suit all businesses. It is also possible to accept payments from customers who put in telephone orders to your business, not to mention mail order and even fax payments. You may not realise that Cardsave is part of the Worldpay group, a company mentioned already in this article. The company also provides members with countless benefits that help make the most of their business, such as a loyalty scheme for your customers. If you run an online business you need to be able to take card payments online. They can provide an ePDQ system that allows payments to be made securely at all times. Customers can use a wide range of credit or debit cards, making it easier for them to buy things from you. Barclaycard provides three options, the first of which is called ePDQ essential. This is the basic level and could be all you need to get started. The next step up is ePDQ extra which gives you more control over your options. The most comprehensive option is ePDQ extra plus, which is suitable for those wanting the most advanced solution available. No two businesses are the same, so while one provider might be the ideal choice for one business, you might find another one ticks more boxes for you. Price will obviously be an area to look at, but you should also consider the exact services offered by each provider, and also in their different packages and options. It is worth remembering you can grow your business and upgrade in the future as well if need be.